Members of the Chinese Cultural and Sports Association of Fiji during their camp. The Chinese Cultural and Sports Association of Fiji, West team will be performing during the Chinese New Year celebrations in Nadi. The team is looking forward to the event. This was a confirmed by the Nadi co-ordinator for the Chinese New Year celebration, Gemma Kong. rning kung fu and lion dance performances. “We had travelled to China on November 22 and we finished on December 13, had a five day break in Hong Kong, then flew to Fiji on December 19,” she said. “All of our boys did not have any experience in kung fu martial arts, so these three weeks was their first and they did very well. “It was a very successful trip since the team had learned a lot, learning a few kung fu moves. 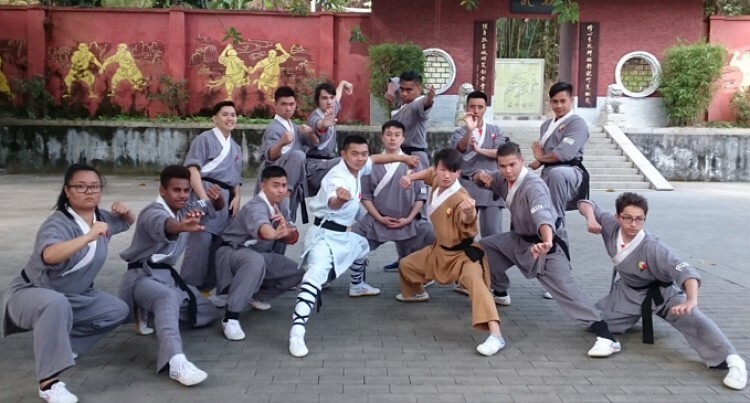 “Their training sessions were similar to those kung fu movies where you see the hero training hard like balancing on stilts, running up the mountains, strengthening hands by lifting bricks and many more,” she said. She said that this was the team had bonded well during the camp. “The Fiji team was the glue that bonded the teams,” she said. The Chinese New Year celebrations take place on January 28. This year has been marked as the Year of the Rooster.